Everyone knows that there is no end to the amount of energy a child puts out. Jumping and running are a natural part of childhood. Who among us hasn’t experienced a youngster bouncing on a bed? A better and safer option is a supervised bouncy house. There is no better way to keep a child amused than by renting an inflatable bouncer. You might think that jumper houses are only meant for birthday parties BUT that doesn’t have to be the case. A picnic and almost any special occasion can be a perfect excuse to rent an inflatable, fun-filled jump house. If you want to see a child’s eyes filled with awe, you won’t find a better deal in party house and inflatable rentals than what our company (Done Rite Party Rentals) has to offer. Incidentally, we have witnessed an adult or two join in the fun alongside their kids as they all tumble about in our bouncy house rides. We are a local company in the party rental business. We have kids of our own and appreciate the joy on little faces as they bounce and play in any one of our available rental bounce houses, moonwalks, jumpers, bouncy castles and inflatable party devices. We are in the business of FUN! If you ask your child (boy or girl) whether he or she would prefer a clown-themed party or one that has an abundance of inflatable bouncy options, such as a moonwalk, bouncy jumper, big inflatable slide or a jump house, chances are the reply will be overwhelmingly “bouncy house! We offer the party or celebration that every youngster dreams about. Done Rite Party Rentals employs the use of qualified technicians to deliver and set up each inflatable bouncing house securely and safely. We are licensed and insured to ensure the safety of our rental customers and their guests. We follow all permitting rules as required by cities and counties in Florida. Done Rite bounce house delivery personnel comply with the requests of jump house renters by arriving in time to set up a bounce house before a party begins. Whether our pros are setting up a bouncy house, moonwalk, jumper or inflatable slide, you can be sure that all inflatable bouncing equipment will be in place when your bouncy party guests arrive. 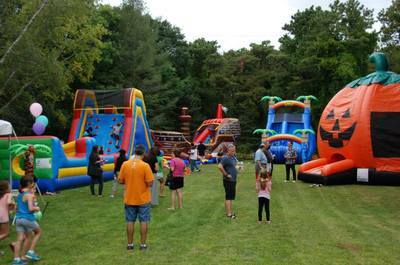 Done Rite Party Rentals is a business that maintains the upkeep of all party rentals, such as moonwalks, bouncy houses, inflatable slides and jumpers with meticulous care. All bounce and inflatable rides are vacuumed and cleaned with a toxic-free disinfectant after every use. 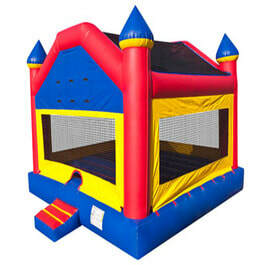 Done Rite bounce houses , moonwalks and jumpers can be set up on concrete, as well as hard surfaces. Our inflatable rental company can supply tarps and sandbags, when applicable. Our bouncy houses and jumpers come in a variety of themes but whatever theme that you choose, the end result is that all party guests (even the adults) have the time of their lives and leave with smiles on their faces. Even though Done Rite party rentals are designed to entertain and amuse, safety must always be a condersideration. Please see our SAFETY REGULATIONS SECTION for using all bounce houses, moonwalks, slides and jumpers. 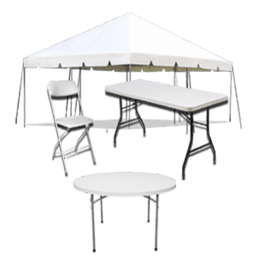 As our name suggests, Done Rite Party Rentals offers various rental supplies. Need extra seating options? We have tables and chairs that will solve the problem. Would you like to keep your bouncy house out of the sun’s rays? Ask about our company’s tent rentals. 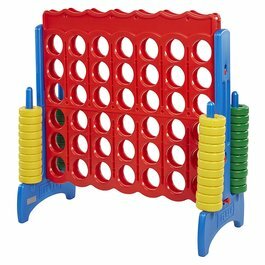 Do you want to offer some games to compliment the bouncy house and jumper rentals? 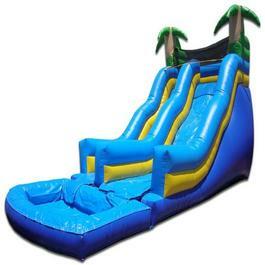 Ask what games Done Rite Party Rental has to offer in addition to moonwalks and inflatable rides. Would you like to give your celebration a carnival touch? 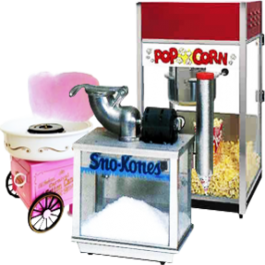 We offer snow cone and popcorn machines for rent. Remember the feel of cotton candy on your tongue when you were a kid? Rent one of our cotton candy machines and give all your adult guests a trip down memory lane. Jumping and bouncing on moonwalks and jump houses is sure to make the munchkins thirsty. Ask about renting cold drinks from Done Rite Party Rentals.